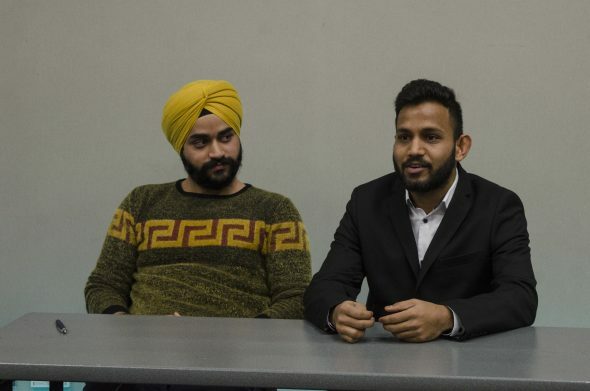 Candidates in the Kwantlen Student Association election gathered in the Surrey conference centre on Jan. 28 to take part in a series of debates hosted by The Runner. The public forum, which was live streamed and is available on The Runner’s Facebook page, gave the candidates an opportunity to explain why KPU students should vote for them when the polls open on Feb. 7 and 8. Though all candidates were encouraged to participate, many of the prospective councillors were not in attendance for the event. Several of those who were unable to make it provided statements that were read on behalf of the candidates by the moderators, The Runner’s Coordinating Editor, Alyssa Laube, and Community Reporter, Ashley Hyshka. 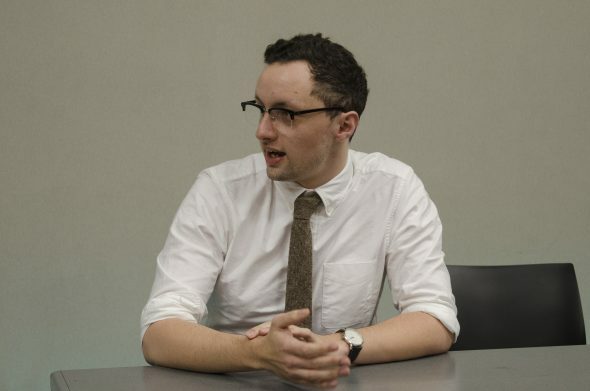 Following a brief opening statement which included a territorial acknowledgement, current KSA Arts Representative Murdoch De Mooy—who, in this year’s election is running for the position of Mature Students Representative—was invited to be the first speaker. De Mooy’s opponent for the position, Jasika Rai, was not in attendance. De Mooy said that he chose to run for Mature Students Rep because he sees the position as the most vaguely defined constituency, leading him to feel that it should be filled by a representative with a clear direction in mind. If elected, De Mooy said that he would advocate for the creation of a daycare system for KPU students with children, and suggests that this could be at least partially funded with a sponsorship or rebate offered by the university. Next was current Students of Colour Representative Munir-Khalid Dossa, who is running unopposed to retain his position. Dossa said that the KSA’s efforts to provide a voice for students of colour can always be improved and that, if re-elected, he would like to focus on reinvigorating the Students of Colour Collective. Of the five students running for Surrey Campus Representative, only Gurpreet Sabharwal and Vaibhav Agarwal took part in the debate. Sabharwal discussed topics such as course availability, long waitlists for courses, parking costs, and food and beverage line ups as key issues for students on the Surrey campus. Agarwal said that, as Surrey Campus Rep., he would be most concerned with encouraging more engagement from students in Surrey. Both candidates brought up the idea of improving security on campus as another important initiative. Current Vice President Student Life Jay Reedy was the only one of three candidates running for Business Representative to attend the debate. Unlike the race for Surrey Rep., which only offers a single spot on Council, Business Representatives make up four Council seats, meaning that none of the candidates are in direct competition with each other. Reedy brought up the issue of representation for international business students, who he said are not currently receiving adequate support. 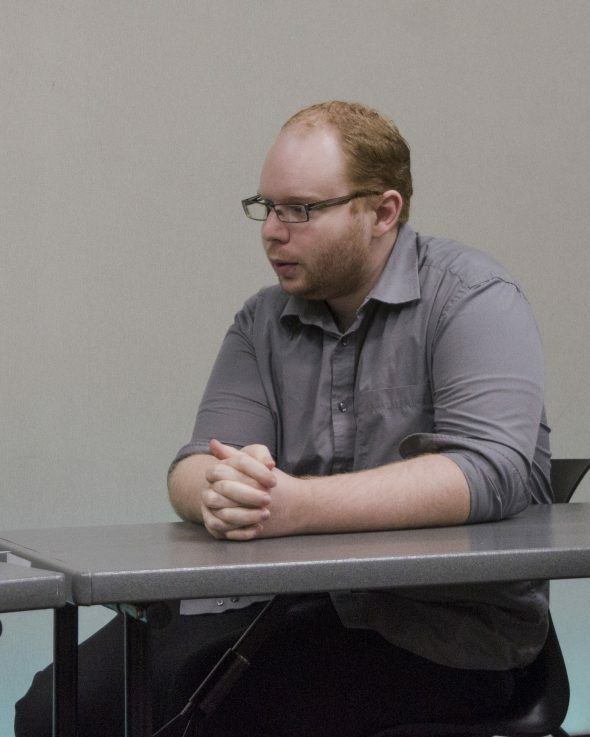 When asked about issues he is looking to address in the coming term that haven’t received attention in the past, Reedy said that he is looking forward to the development of the KSA’s student union building and the opportunities that it could provide to KPU students. “In my personal view, it is not the role of a faculty representative to only represent their faculty. Instead, each member should be representing all students at KPU,” said Reedy. Out of the six students running for Arts Representative, David Piraquive and Justin Bige were the only candidates to speak at the debate. 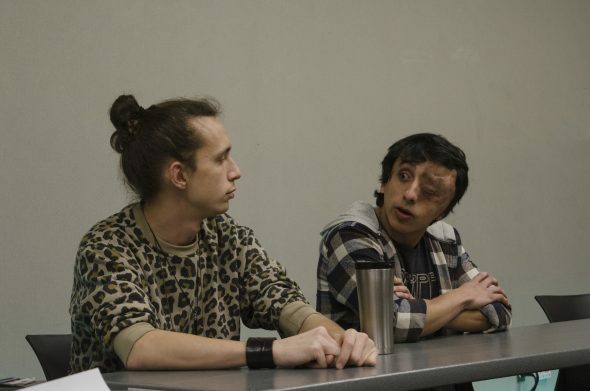 Piraquive said that, if elected, he would advocate for students and lobby the government to lower tuition and support student housing. 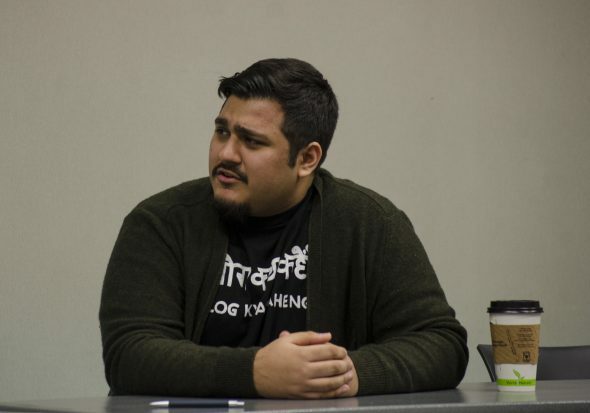 Bige, who has previously held the position of Indigenous Students Representative, said that he wants to make on-campus culture more engaging for arts students by holding events at KPU, adding that he would advocate for continued funding for KPU’s slam poetry team, Slamapalooza. An important concern for Bige is the fact that the KSA Students Rights Centre’s yearly reports, which have been compiled since 2015, have not been released to the public despite claims that they would be. The reports detail complaints about institutional flaws filed by students who visited the Student Rights Centre. “If there’s one thing I’m going to be pushing for at the KSA, it’ll definitely be that [report] to be released because, it might not specifically be [a responsibility for] Arts Rep., but in terms of being student leaders, that is such a concrete thing that we can’t pass up on if we want anyone to have faith in us as student representatives,” said Bige. The next set of KSA councillors will be elected on Feb. 7 and 8. Voting booths will be open to students across all KPU campuses.